Small Plastic Dinosaur Toys Play Set. Kid's will be amazed when they see these unique dinosaurs from Jurassic World movie. 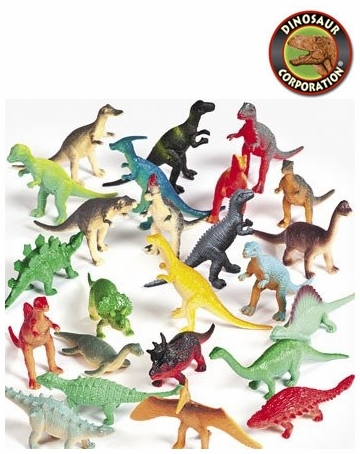 Assorted Dinosaur figures are Triceratops, Stegosaurus, Deinonychus, Tyrannosaurus rex, Ceratosaurus, Ankylosaurus, Diplodocus, Stegosaurus, Parasaurolophus.